Yep, I am! Or maybe it's that the graphic designer in me can't help it. Or the dreamer. Or go-getter. Anyway, after we get married I want to open an Etsy shop to sell vintage wares. And being the nerd/designer/dreamer/go-getter I am, I went ahead and made myself a logo, business card and shop name, even though it'll probably be at least 6 months coming. 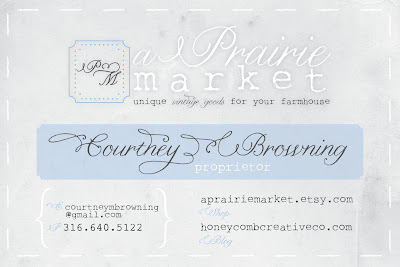 So welcome (very prematurely) to A Prairie Market. 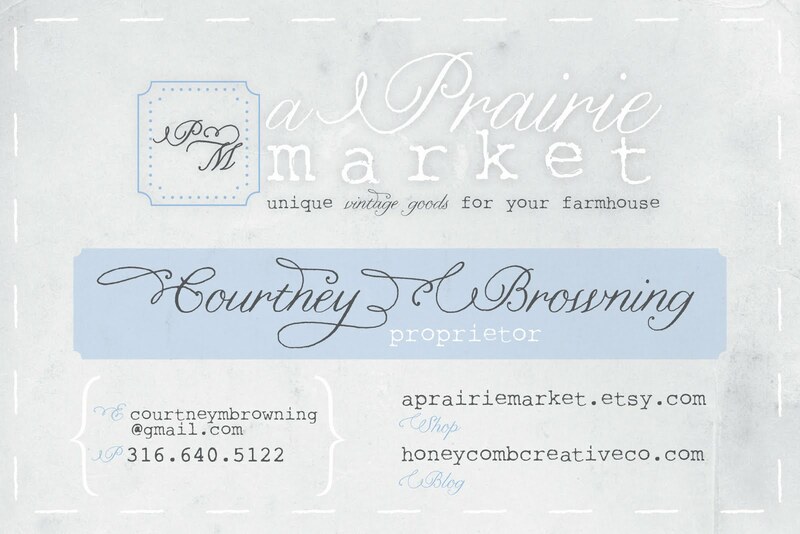 My imaginary Etsy shop : ) More to come in...oh, around August! If you're a nerd then I am one too because just seeing that beautiful card makes me giddy to be able to shop at your store! The card is beautiful by the way, you should be proud! exciting! i love the design :) xoxo jcd :: stop by cornflake dreams to enter a personalized print giveaway !! I love it! It looks lovely! Well aren't you cute! I'm excited, Mrs. Browning! So cute and creative! I am so impressed you did this on your own. Go for your dreams!